Che Loco!. 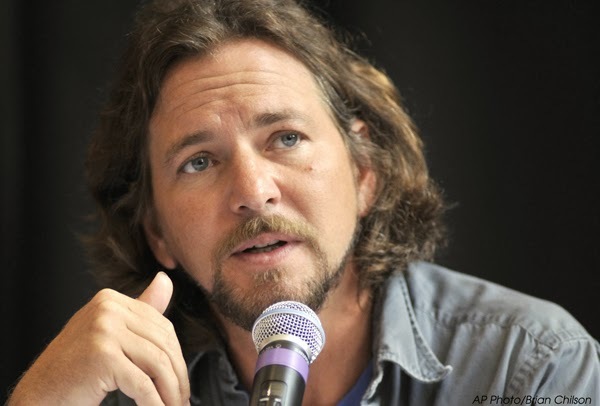 : Happy Birthday Eddie Vedder, from Argentina! Happy Birthday Eddie Vedder, from Argentina! EN BUENOS AIRES.ARGENTINA.UNA PAGINA DE FACEBOOK DEDICADA A PEARL JAM REALIZO UN VIDEO CON LA AYUDA DE SUS SEGUIDORES PARA HOMENAJEAR A EDDIE VEDDER EL CANTANTE DE LA MITICA BANDA QUE ESTUVO DE CUMPLEAÑOS EL PASADO 23 DE DICIEMBRE Y DE PASO PARA PEDIRLE UNA GIRA EN SOLITARIO POR ARGENTINA. EL VIDEO DE MUY BUENA COMPAGINACION MUESTRA EL CARIÑO DE LOS FANS ARGENTINOS PARA ESTE ARTISTA TAL CUAL LO HAN HECHO CON LA BANDA EN LAS 3 OPORTUNIDADES QUE VISITO AL PAIS (2005),(2011) Y (2013). ARGENTINA.CONSIDERADA POR LOS MISMOS MUSICOS,COMO SU MEJOR PUBLICO DE TODOS LOS TIEMPOS.UNICO LUGAR DEL MUNDO DONDE LA GENTE ACOMPAÑA NO SOLO CANTANDO SI NO TARAREANDO CADA INSTRUMENTO MUSICAL SIN DEJAR DE SALTAR Y APLAUDIR Y DEDICANDOLES CANCIONES A LOS MUSICOS.